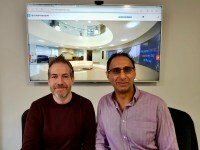 TECHNEDs was established in Nov 2016 by Founder and CEO Simon Mewett. TECHNEDs is a UK technology investment firm that provides expert coaching and guidance to help businesses succeed. They are always looking for technology firms to fast track into profit, growth and prosperity, either through private investment funding or sharing their expertise and knowledge as non-executive directors (NEDS). TECHNEDs can offer strategic and or financial support. The culture is that of leadership and guidance and looking to invest in UK based companies in the technology sector, with a turnover from £1m – £10m. The team has a wealth of success and experience in the technology sector and impressive results to ensure your business and its people thrive and succeed. Specialists in high security vehicle camera systems. Hosted telephony solutions for businesses. Managing data security risk for businesses. 24×7 proactive management of IT services & systems. IT Support Specialist for Business & Education. Innovative solutions to better manage energy . Outsourced sales for Telecoms & IT resellers. Strategic marketing for tech businesses.